Heroin has often been considered one of the most addictive substances available. It has powerful effects over the body and mind and comes with a high risk of potential overdose. Public awareness and understanding of heroin addiction has increased over the years, but it is still a significant problem not only in the United States, but throughout the world. One of the things that makes heroin so appealing to people is that it is a potent pain reliever that is often cheaper and easier to access than prescription opioid medications. Much like prescription pain relievers, heroin is derived from the opium poppy plant. It is synthesized from morphine, a widely recognized pain reliever. Once heroin addiction develops, it can be very difficult for people to recover on their own without the help of a professional treatment program. However, with the right approach and support system, it is possible to overcome heroin addiction. A recent study found that heroin is one of the most addictive drugs in the world, ranking above alcohol and cocaine. It causes a surge of dopamine in the brain which over time alters the brain’s reward system and how people interpret pleasure. Their body begins to crave the pain relief and euphoria that it elicits. Traditional forms of pleasure no longer provide as much enjoyment and are not able to curb this craving. Not only is heroin highly addictive, it also comes with a high risk of overdose making it a major focus in recent drug addiction treatment and prevention measures. As with any other drug, the causes of heroin addiction are varied. Some people try it out of curiosity, wondering what the effects will be. Once they experience that euphoria and pain relief, they want to feel it again. Soon their brain begins to change and addiction can develop. Other people transition from using prescription pain relievers to heroin because it is cheaper and easier to obtain. When they have trouble getting their prescription refilled, they turn to other options. Heroin can also provide more powerful results than prescription opioids. There is not just one cause of heroin addiction – there are many contributing factors. It comes as the result of genetics, environment, and social factors. Some people are at a higher risk of developing an addiction than others, of which affects millions of people each year. There is not always a clear answer as to what comes first, drug addiction or mental illness. These conditions often occur together and have overlapping symptoms and causes. One does not necessarily cause the other, but it can be a strong contributing factor. Some people who struggle with a mental illness such as depression or anxiety may turn to drugs as way of self-medicating and trying to relieve their symptoms. While this may provide temporary relief, it is not a long-term solution and often ends up making symptoms worse. Drug use may also exacerbate underlying symptoms of mental illness and make them more noticeable. Recognizing these signs and symptoms is one of the first steps in getting someone the help they need for heroin addiction. Too much heroin can slow heart rate and breathing down to dangerous or potentially fatal levels. It is imperative to seek treatment immediately. Co-occurring disorders do not always occur with heroin addiction, but they are common. Addiction is a form of mental illness and can share similar symptoms and changes in the brain. It is essential for the person to be evaluated both for a substance use disorder and for a mental health disorder to determine what symptoms are present. Sometimes the effects of heroin addiction can present like a mental illness when one does not truly exist once the addiction is addressed. However, when symptoms of both are identified, this can result in the diagnosis of a co-occurring disorder. Family members and friends may notice that their loved one appears depressed or anxious even when not under the influence of drugs. Their behavior and actions may seem out of the ordinary, which can be a sign that something more serious is wrong, such as a mental illness. It is important to observe them both while they are under the influence and at other times throughout the day in order to notice changes or areas of concern. A licensed professional will conduct necessary assessments to determine whether a co-occurring disorder exists. Once this has been determined, dual diagnosis treatment for heroin addiction and mental health disorders can begin. Dual diagnosis treatment involves addressing both conditions simultaneously. It is important for the client to understand how they impact one another and affect their recovery. Someone with heroin addiction and schizophrenia will face different challenges than someone with heroin addiction and depression. Treating both together can reduce the risk of relapse and support recovery. If one is treated but not the other, there are still underlying factors that may trigger relapse. The good news is that heroin addiction and co-occurring disorders are treatable through comprehensive drug addiction treatment programs. 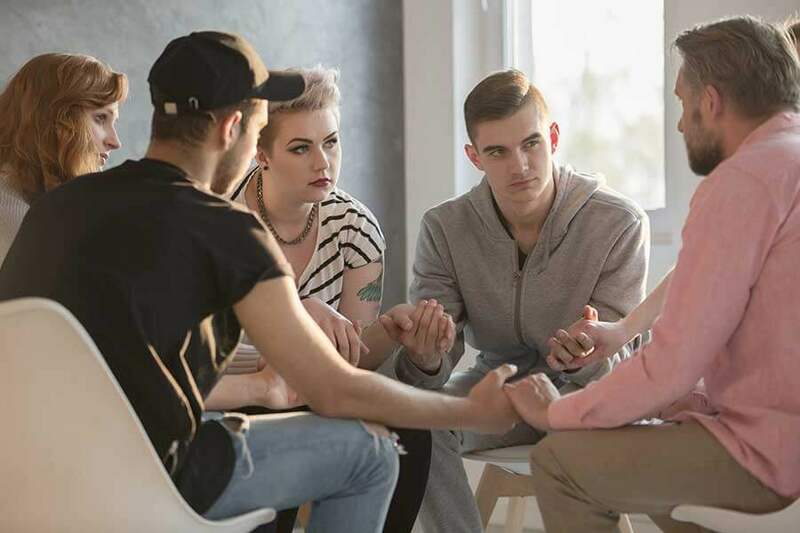 Treatment centers like 1st Step Behavioral Health provide clients with high quality care that meets their individual needs and goals for recovery and helps reduce the risk of relapse. A healthier lifestyle is possible with the right approach. Contact us today!